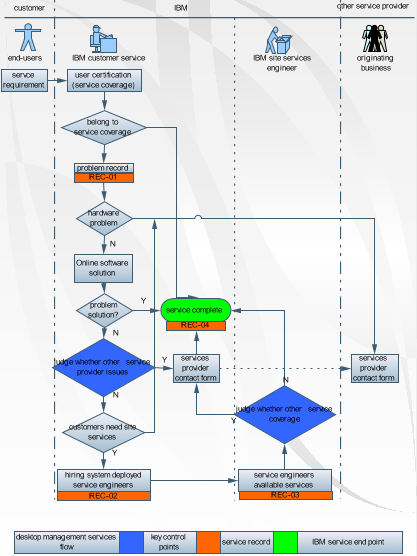 A workflow example, showing a simple service workflow among customer, company and the third party service provider. Many work processes are complex and complicated, so in order to make it clear and improve the working efficiency, it's important to visually represent how the process is being completed. You can use a workflow chart to present the overview. Edraw provides plenty of pre-drawn shapes and a collection of dynamic tools that makes you easily create a professional workflow chart. Below is a workflow example used for showing a simple service workflow to present the relationship among customer, company and the third party service provider. 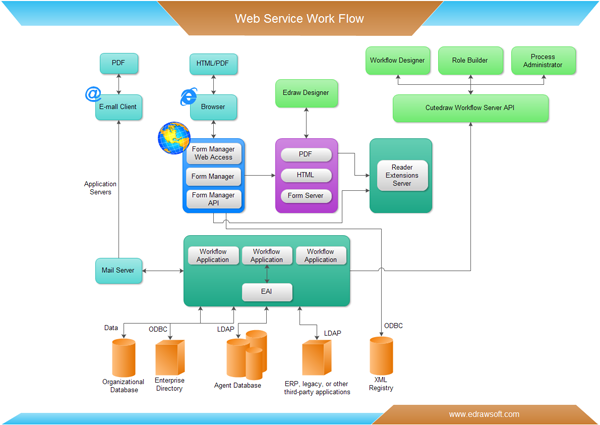 An example workflow chart below shows the web service work flow. Please click here to free download workflow Software so that you can use the built-in templates to create and present your service workflow in minutes.